Tales: Rihanna and Chris Brown Hooking Up Again? Few days ago we reported that Chris Brown is now in a relationship and has moved on see here, from miss little Karrueche. 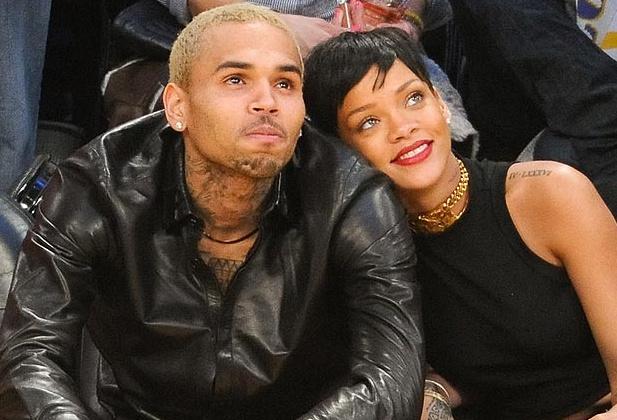 New reports however surfacing indicates that Chris Brown and Rihanna may be hooking up again secretly. Both Rihanna and Breezy were spotted last week at the same night club in New York City. Party goers also observed them leaving the club mere minutes after each other. Some folks on Twitter even went as far as to say that Breezy went back to her crib in the Big Apple. Sources inside the Bajan pop star’s circle told Dancehall HipHop on Tuesday that it was mere coincidence that they ended up partying at the same. We’re also told that they have not spoken to each other in over a year. “Two big name celebrities in the same club is not uncommon so this is just by chance that they ended up at the same spot nothing more to it,” we’re told by sources with real knowledge about Rihanna’s inside circle. “I mean they have not spoken in well over a year. Ever so often there are new rumors about Rihanna and Chris Brown getting back together, but our sources insist that the “Work” singer is over that relationship and vows to never go back. “She has completely close that chapter of her life,” sources said.